If you want to enjoy a wonderful winter vacation with the whole family in the Ozarks, stay in Branson cabin where you can enjoy the same comfort at home this holiday season. Winter vacation in Branson is a great time for people who wish to experience comfortable and luxurious living style in a cozy Branson cabin. 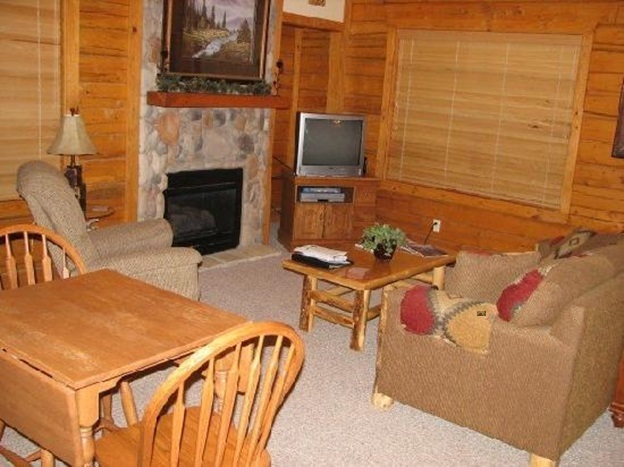 The comfy cabin that you choose to stay for your much awaited winter vacation in Branson is one of the most popular accommodations of Thousand Hills Golf Resort. Thousand Hills Branson Cabin provides guests luxury and comfortable accommodation that cannot be usually enjoyed in regular hotel rooms. These cabin rentals offer options for guests who want to enjoy a convenient stay in log cabins complete with modern amenities and stunning wildlife scenery. These Thousand Hills cabin accommodations are minutes away from famous attractions located just two blocks from 76 Country Music Blvd. All of the log cabins have beautiful interior designs which were intently designed to capture the image of the natural landscape. The great location of Branson cabin at Thousand Hills offers picturesque views of unspoiled nature, beautiful natural scenery, and clean and crystal clear waters of the lake. These log cabins offer vacationers luxurious and comfortable living but affordable accommodation and conveniently located in the heart of Branson. Staying at Branson cabin at Thousand Hills gives you the opportunity to experience good old hospitality in the Ozarks. While the place is in the vicinity area where the golf course is located, you can have the chance to play with the most popular 18 hole golf course in Branson. The beautiful location of the Branson cabins and its affordability are some reasons why many guests fall in love with the cabin accommodation. As you spend a fascinating winter vacation in the Ozarks, you can have the chance to enjoy Branson’s Ozark Mountain Christmas which brings together a mix of entertainment and holiday spirit. During this time, Branson transforms into a holiday wonderland where you find dazzling lighting displays and glittering Christmas lights in every street corner. At the Branson Area Festival of Lights, you may experience the charm of the season as all of Branson is full of holiday fun and excitements. From live entertainment shows to breathtaking sceneries and great shopping to spectacular dazzling lights, Branson is a special place for everyone during this joyous season. This holiday season, Old Time Christmas is celebrated in Branson that runs through December 30. The five stories high Christmas Tree is giving great delight to people of all ages. In this holiday festival around town, you can watch hundreds of live entertainment shows in many theaters. Many of the entertainment shows this time of year is mixed with Christmas theme to let you enjoy the holiday spirit of the season. If you are looking for a place to stay for your much awaited vacation this winter, stay in a comfy Branson cabin accommodation at Thousand Hills Golf Resort.